Aston Martin ticked off all the right boxes on this one. Whether or not you’re in love with and its DB10-inspired looks, the fact of the matter is that Aston’s new entry-level grand touring coupe is out and ready to . It’ll do that by offering groundbreaking performance using differentiated looks, a lightweight DB11-based platform, and grunt using AMG’s powerful twin-turbo 4.0-liter V8 that sends 510 horsepower and 505 lb-ft of torque to the rear wheels via an eight-speed automatic gearbox (the manual is probably coming later). 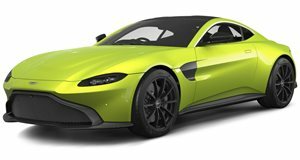 But so far the marketing tactic has been made up of numbers and theoretical “what ifs” that may or may not be interpreted the way Aston Martin intends them to be by the public. The only way to tell if the Vantage is as good as its predecessor, the best-selling Aston of all time, is to see it up close and let the details sink in. Details are what matter on most anything that costs $150,000, so Carfection’s Henry Catchpole lends us his objective eye to dissect this red Vantage. Here we see how designers took inspiration from the DB10 without leaning too heavily on the polarizing Bond car. With clean lines and muscular striations blending together functional components like the taillights and intakes with the petite, athletic, and bite-sized body, the Vantage looks just as ready for the track as it does the sales floor. And then there's the interior. The practicality afforded by the large trunk and a well-appointed interior that looks as if it'll stay modern well into the Vantage's golden years all scream "buy me!" We would. Would you?